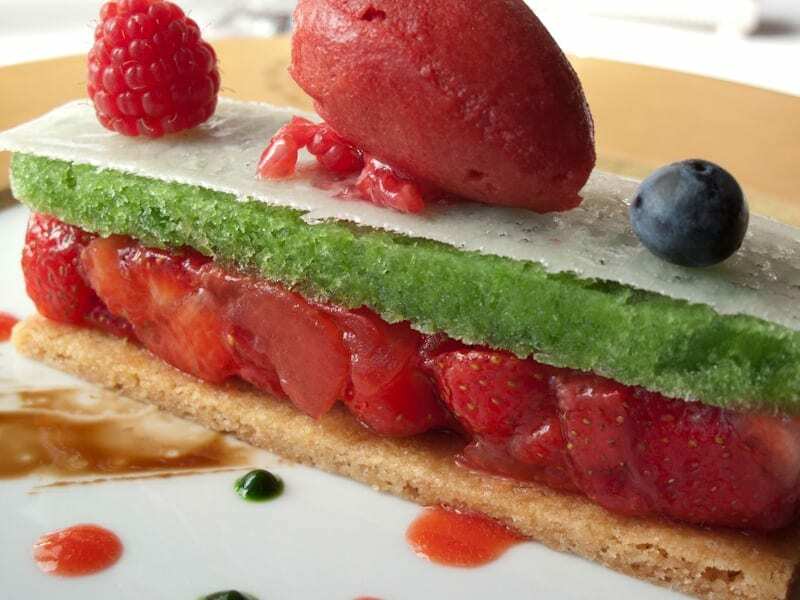 After a glorious, decadent lunch at Le Grand VefourLe Grand Vefour in the Palais Royale in Paris, I had this delicate strawberry and tomato tart with and ice made of greens on top. It was not too sweet and the perfect ending to a perfect meal. I always prefer to go to these Michelin-starred restaurants for lunch because it is less expensive than dinner, and I think you get a less-harried server. I sat in the bench by the window where Victor Hugo once sat and was a very happy girl! Located at 17 Rue de Beaujolais in Palais Royale (1st arrondissement). Please note the restaurant is CLOSED on the weekends! Here’s an interview with Guy Martin, the chef at Le Grande Vefour. How about you? 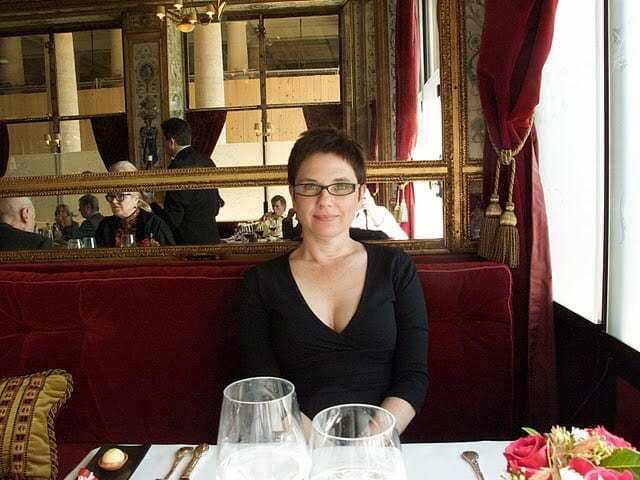 Have you eaten at Le Grand Vefour? How about another Michelin-starred restaurant in Paris?